Mighty vs Solo 2 - Battle of the BEST - Which Weed Vape Wins? Mighty vs Solo 2 – Battle of the BEST – Which Weed Vape Wins? These two vapes are the top of the heap. What a tough comparison. 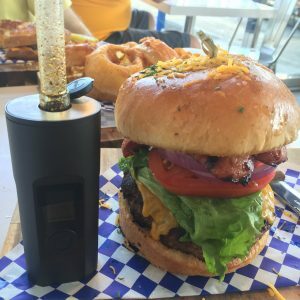 Best Place to Buy A Mighty Vaporizer? Best Place To Buy A Solo 2? The Mighty has been the reigning champion of weed vapes for 3 years running. 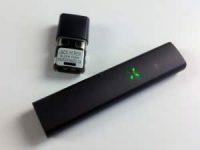 It’s hybrid conduction/convection heating provides a hearty and potent vapor that also remains fluffy and pleasent in the mouth and lungs. Its simple interface means fast and easy reloading, even in the dark. Powerful enough to rip through a marathon bong session, gentle enough for delicate lungs and medical patients. German engineering at its finest. The Mighty standing tall on a rock. Can’t do that without a stand! 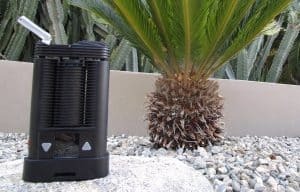 You can grab the Mighty from Puffitup for $300 (use code PUFFEDUP). 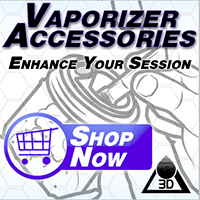 Mention 420vapezone and get some free stickers! 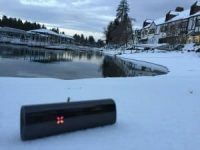 The Solo 2 is another hybrid heated vape, but with a different experience intended. The Solo II is classy and sleek. The outter shell is aluminum and brushed stainless steel, with an all glass vapor path. 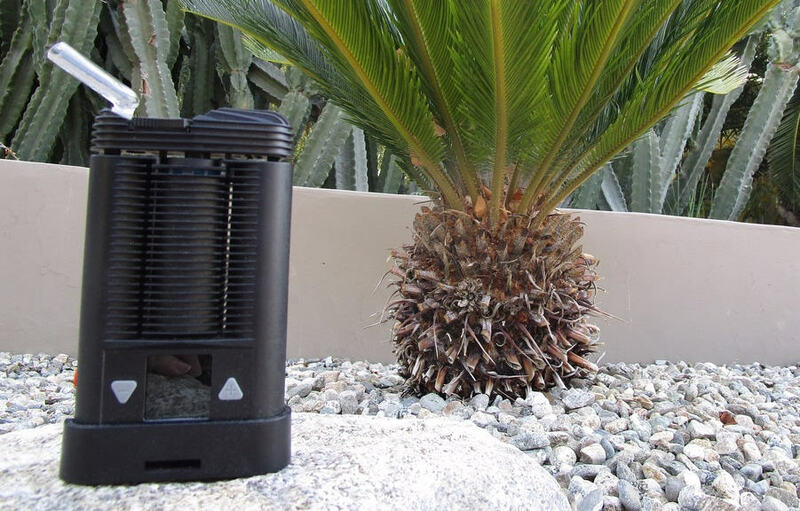 The Solo 2 provides clean pure vapor and the most minimal maintenance methods of any at-home portable. It’s not a vapor bonging machine, but it certainly gets the job done now matter what you throw at it. The Solo II will vape 12+ bowls per charge. It’s cheaper, at $239.